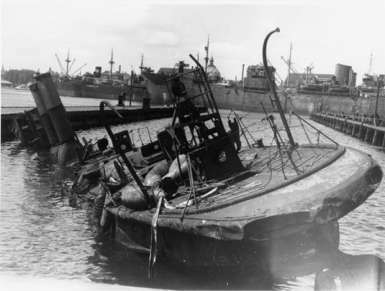 The former torpedo boats of the SPRINGEREN Class; STØREN (1916-1940) and SØHUNDEN (1917-1940) had both been decommissioned in 1940. 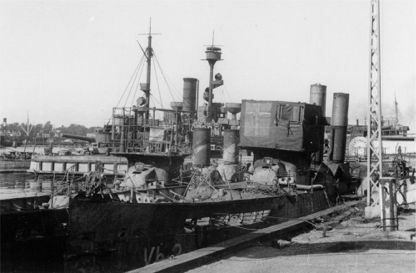 In 1941 the SØHUNDEN was recommissioned as a floating steam unit, named Varmebåd 3 (Vb 3). The same happened to STØREN in 1942, given the name Varmebåd 2 (Vb 2). 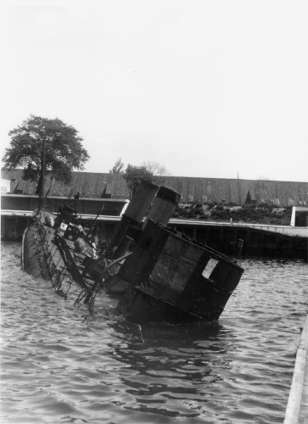 Varmebåd 3 was scuttled August 29, 1943 in Takkeloftsgraven, while Varmebåd 2 was found sunk at the Torpedobådsbroerne just 200 meters away. 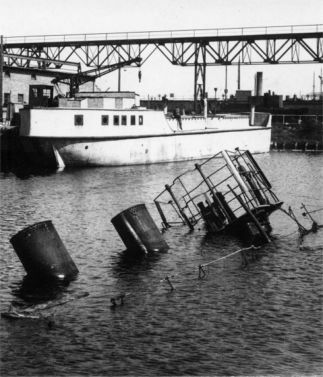 Both ships were salvaged during the summer of 1945; however, they were in such a poor condition that any repair was abandoned. 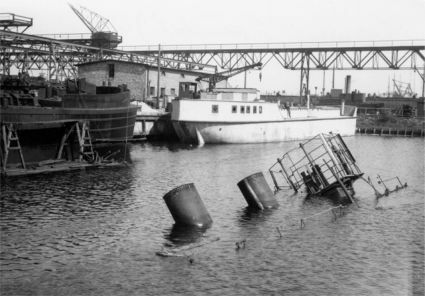 The ships where sold in 1946.
in 1945, in the background you can see the PEDER SKRAM.